Inevitably the sink will always be a focal point of the bathroom. Friends and family that are visiting your home will use your bathroom to check their make-up, wash up for dinner or any number of things and it’s important that your bathroom sink has both a high degree of functionality and works well with the rest of your bathroom décor. There are many choices for sinks in the Toronto area and you should have no problem finding something that fits your budget and complements the other furnishings in your bathroom. And working with Stone Masters can help ensure you find exactly what you are looking for. We regularly receive new materials from all over Europe with an emphasis on Italian marble and Travertine. Those are the two primary types of stone we use for our bathroom sinks and we currently carry eleven different marble options and nine Travertine choices that will easily match most every bathroom colour scheme and style, no matter if it is contemporary or classic. Our trained customer service representatives can help find the sink that is right for you. Many clients in the Toronto area simply send us photos of their bathroom layouts and let us provide numerous options for them to choose from. Whether you prefer a conventional bowl shape, or a raised basin we at Stone Masters have something for everyone. We also offer unique customization so that the sink will fit with your countertop and vanity, or you can by all three parts from us as a package deal. The bottom line is that Stone Masters has a goal of becoming the premier bathroom furnishing retailer in the Greater Toronto Area and we understand achieving that mark requires an unparalleled commitment to our customers. The other great thing about our products is that they don't just work in the bathroom; we offer sinks for kitchens, bars, guestroom add-ons...you name it - we can outfit your entire home if necessary. 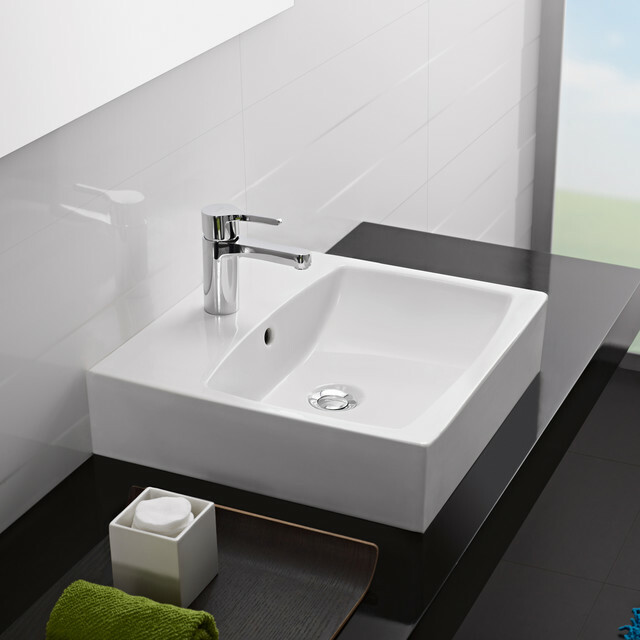 There is also a variety of shapes to choose from when selecting your bathroom sink with us. We understand that each client is different and our comprehensive inventory has something for everyone. The most popular shapes we offer are listed below, but all you need to do is give us a call and one of our representatives will walk you through the customization process in a few quick minutes. before we send them to Toronto for cutting and shaping. This policy helps to ensure our customers get the quality they expect and can play as little or as much of a role as they would like in the customization process. This works for us as well because we do not have to keep large quantities of pre-cut sinks shapes on hand - we can let the customer make their own choice with no pressure. A bathroom sink is more than just something you wash your hands in. It is an important piece of bathroom décor that must be matched with the countertop and vanity. Stone Masters offers a variety of marble and travertine bathroom sinks in Toronto. Here, you will find high-quality models in all shapes, sizes, and styles. When you have guests in your home, there’s always the possibility that one will need to use your bathroom. If you have an outdated or cheap looking sink, you may feel embarrassed. Not only should you invest in a sink made of high-quality material, you should invest in a sink that is easy to clean and maintain so that you won’t have to worry about it getting dirty easily. Mildew is also something that cheap bathroom sinks are susceptible to. Fortunately, the sinks right here at StoneMasters.ca are high-quality and durable. Sinks come in many different shapes, ranging from rectangular to D-shaped. If you are replacing an existing sink, you need to make sure the new one will be the right fit for the countertop and vanity. If you’re building a new bathroom or doing a complete renovation, you might want to buy the sink with the vanity unit. We offer both in various styles. The type of sink that would be ideal for you depends on your bathroom requirements and personal preferences. 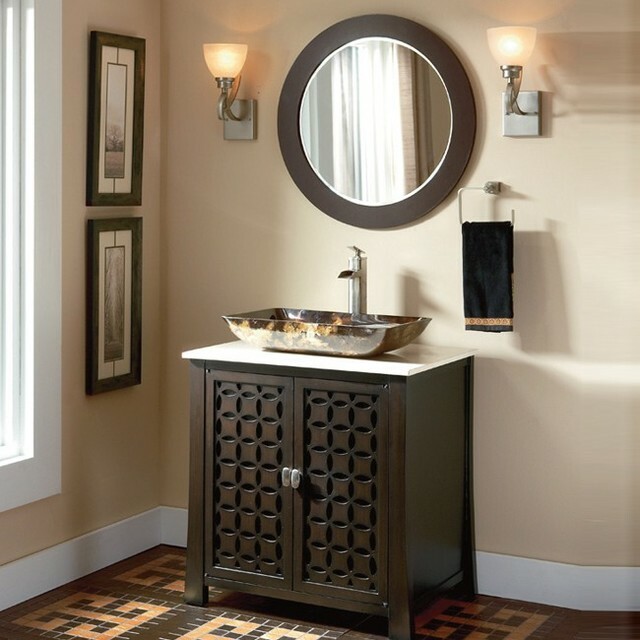 A pedestal sink, for instance, is a good choice for small guest bathrooms where storage isn’t really an issue. An under-counter sink is a clean, modern choice that frees up usable counter space. For the main, large bathroom, you might want to go with an above-counter sink. This type of unit is installed above the cabinet or countertop to create a distinctive focal point. In addition to the cabinet or countertop, the faucet is an important feature. It should be the appropriate size for the sink. The sink and the faucet should have matching hole punching, usually in the center. Colour options for our sinks include onyx, beige, black, and white. We carry several marble models and 9 travertine models that will easily match your bathroom colours and style. They are all made with the highest quality of craftsmanship. Unique customization is available, no matter what you’re looking for. We have a sink to offer for any type of bathroom, be it traditional, contemporary, classic, vintage, etc. There are options for different sink hole and flowing water styles. To ensure quality, we have specialists looking for the best materials in Europe. They must pass rigorous quality control testing before they are sent to Toronto for the cutting and shaping process. 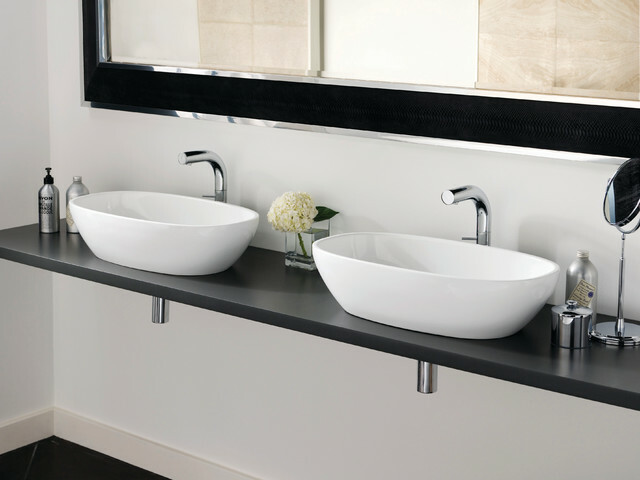 Finding the right bathroom sink doesn’t have to be difficult. If you are unsure, you can simply send us an image of your bathroom layout and let us provide you with recommendations. Our customer service representatives will give you the best options to consider for your budget and requirements. Whether you want a warm coloured raised basin or a conventional bowl shape, Stone Masters offers it all. Fill out the contact form for a free quote today!